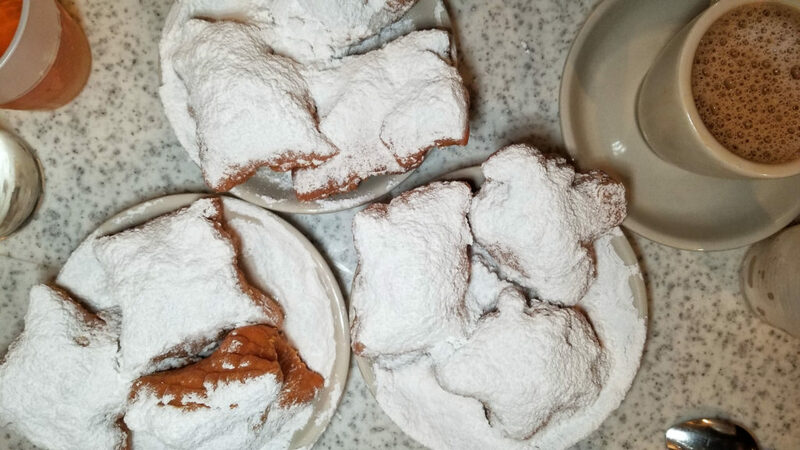 A must-do thing in New Orleans is to have a beignet (or three) at Cafe Du Monde. There’s always a massive line, so go later at night, after dinner (make this your dessert), and you should have no trouble seating yourself. Order three, have a chicory coffee and dig in. But don’t spill any of that sugar cocaine on your pants! So delicious. Basically, these are French zeppole.